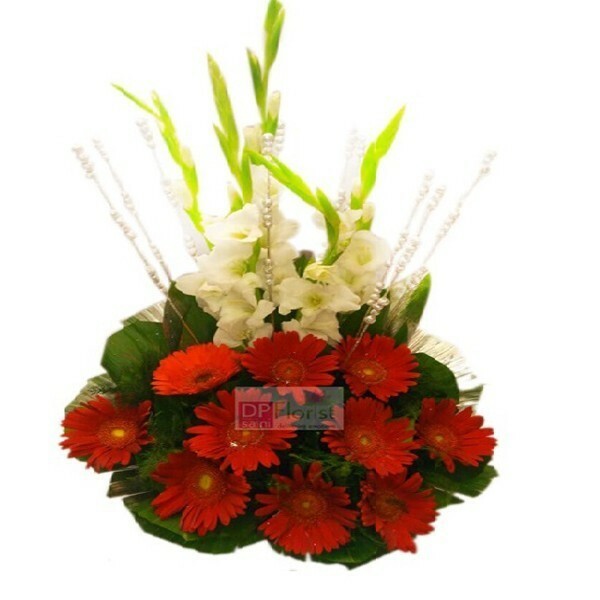 Send this lovely basket of white glides and red gerberas with dry sticks and fillers. 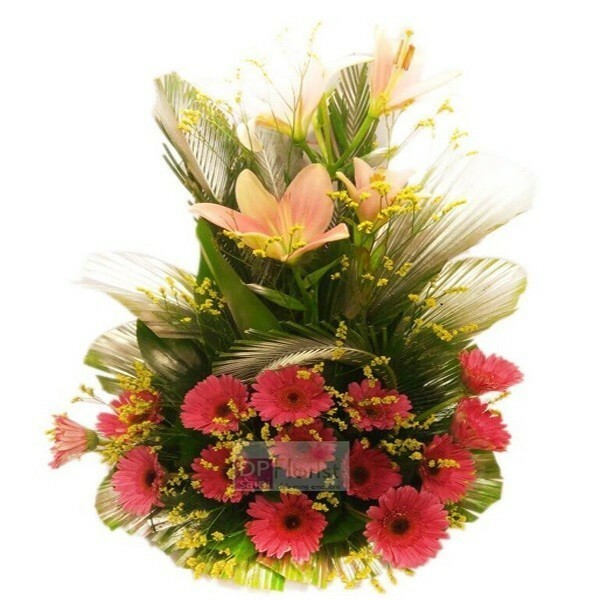 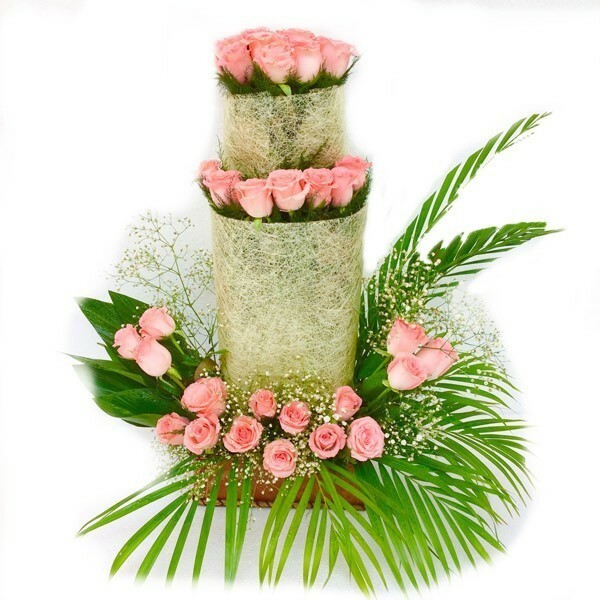 Send this lovely arrangement of pink roses in jute wrapping and green fillers to your loved on the special days and surprise her through DP Saini florist. 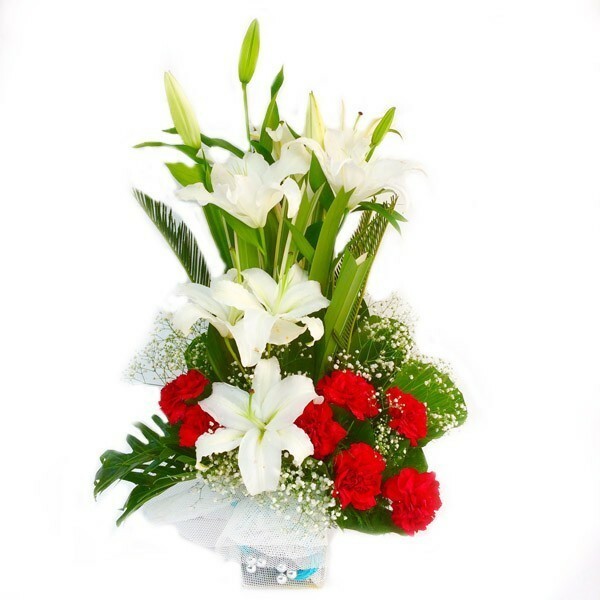 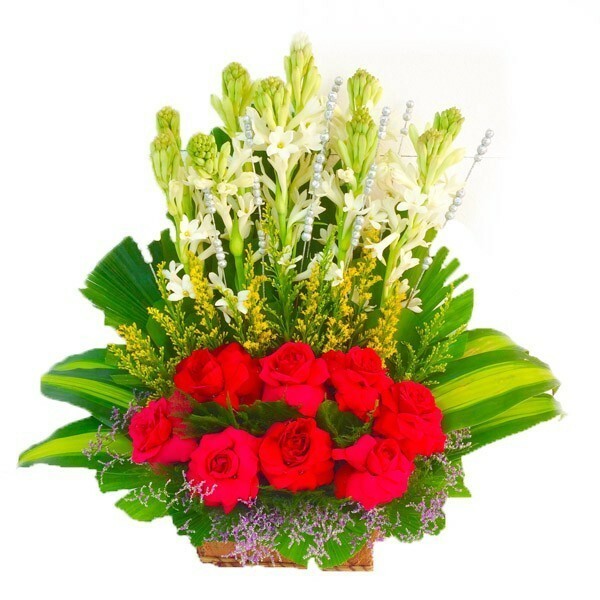 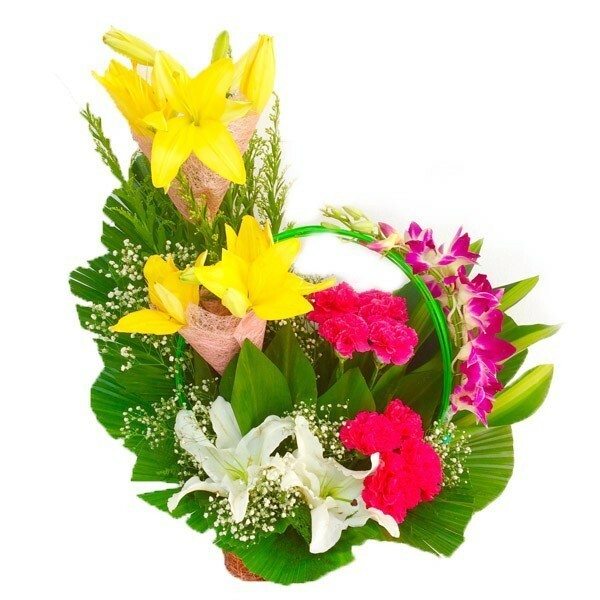 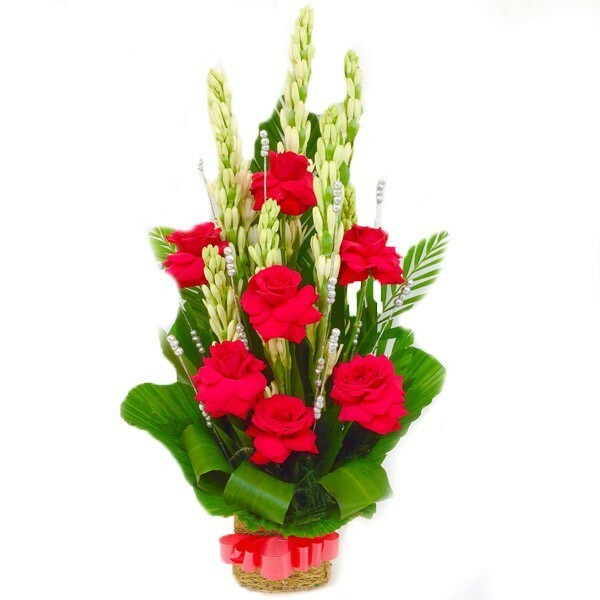 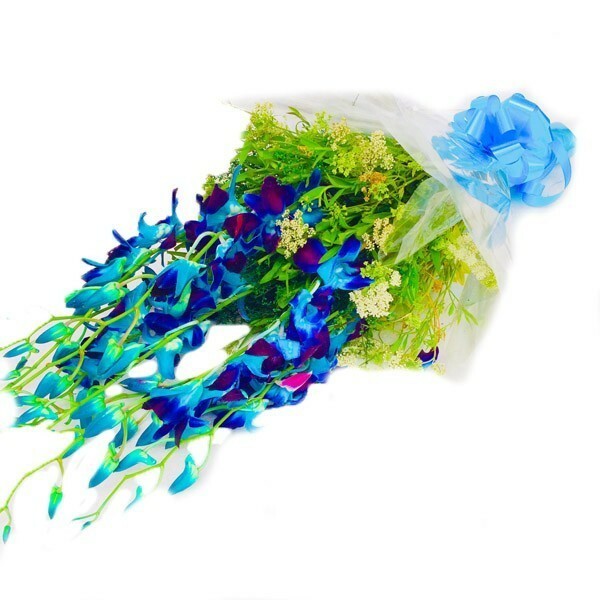 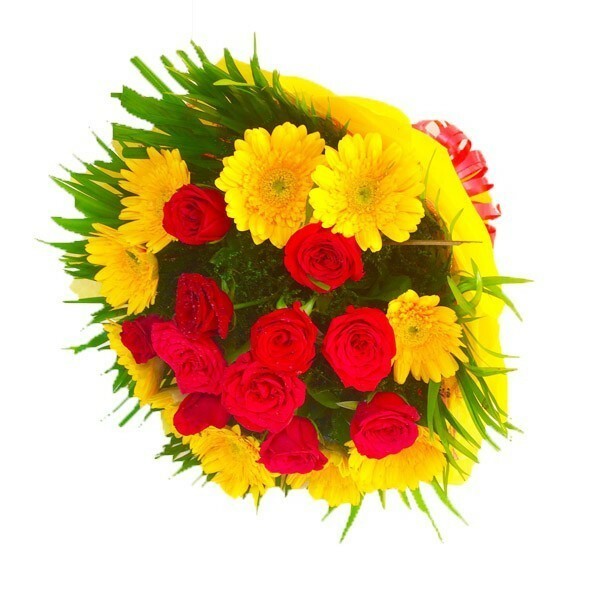 Send this lovely 7 Rajnigandha and 7 red roses basket Arrangement fillers to your loved on the special days and surprise her through DP Saini florist. 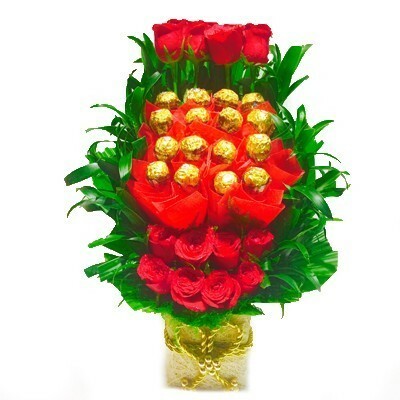 Send this lovely arrangement of red roses and 16 pcs ferrero Rochar in a designed basket to your loved ones and surprise him her through this unique collection.Note only for Faridabad. 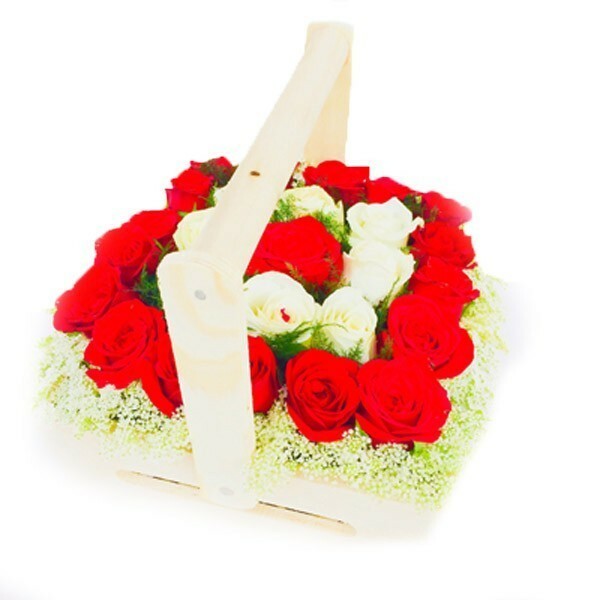 Send this beautifull arrangement of 20 red and white roses in imported wooden handle basket with imported fillers and a small silk cadbury chocolates to your loved ones and surprise him through dp saini florist. 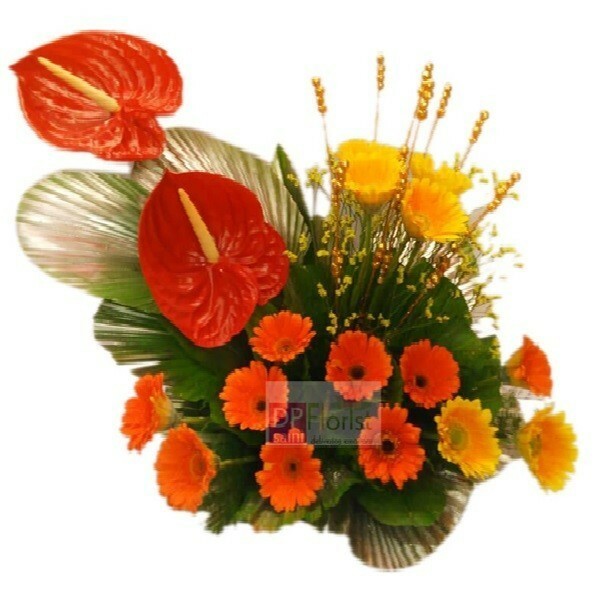 Lovely basket of red anthuriums , yellow and orange gerbras.